Please follow this link to access the S2 Website. We would love to share in your son/daughters achievement. 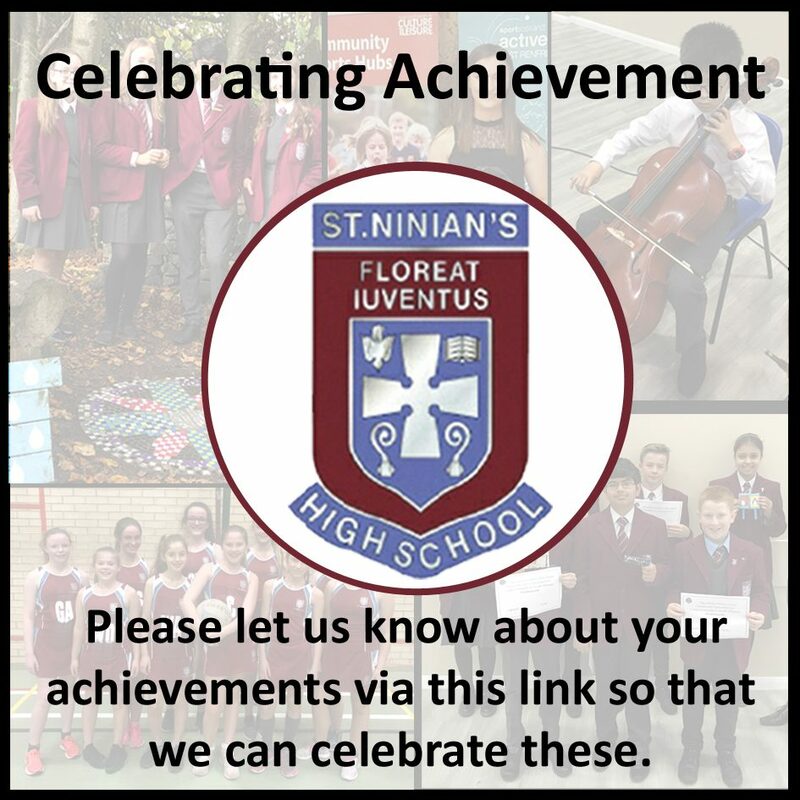 Success is celebrated via the school website and Twitter. Please use the form below to let us know. Jesus, as a child you grew in learning and wisdom. Bless Saint Ninian’s High School, a community of faith and love where young people learn, work and grow together. Help us to make our school a place where teachers are valued for their dedication; where pupils are encouraged to develop their talents and where all staff, young people pupils and parents – work together in trust and friendship. Live among us now and forever.